As a reducing diet it is superior in every way to any other system because it dissolves and eliminates all types of fatty tissue. Fat melts away at the rate of about two pounds a day for most persons - and without any harmful side effects. All mucus disease such as colds, flu, asthma, hay fever, sinus and bronchial troubles are rapidly dissolved and eliminated from the body, leaving the user free from the varied allergies which cause difficult breathing and clogging of the sinus cavities. Allergies exist as a result of an accumulation of these toxins and they vanish as we cleanse our body. People who are over-weight often experience these difficulties, and the more they continue to eat the toxic fat-producing foods which cause their obesity, the more their other ailments multiply. Mucus disorders are brought about by the eating or drinking of mucus-forming foods. In other words, if you have these diseases, you ate them! As we stop feeding our family mucus-forming foods, we can eliminate their mucus and allergy diseases for the rest of their lives. Or shop for any of the Individual items in the kit to order separately as you need them. In 2002, I lost 26 kilos (57 lbs) in 30 days and then gained it all back in a couple months. In 2010, I've lost 18 kilos (40 lbs) in 5 months and I'm sure I'll never gain it back. Since the 1980s, I've read several books on nutrition. My favorites were those written by Norman Walker. But I didn't apply the information but to drink some carrot juice once in a while. In 2002, I was 96 kilos (212 lbs) before I stopped checking my weight. I was too tired to do anything but drag myself to work and crash in front of the TV when I got home. I couldn't tie my shoe laces without getting winded. I'm assuming I had high blood pressure without knowing it. 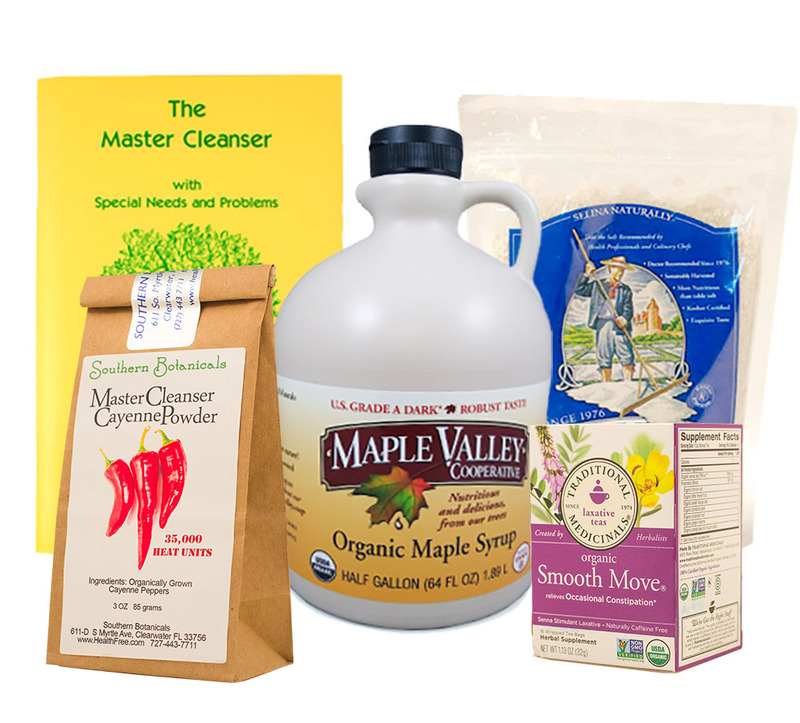 A friend of mine told me about some success that she had doing the Master Cleanse for 10 days. It sounded like a good idea and I jumped on board. I did the cleanse for 30 days and I lost those 28 plus kilos (50+ lbs) in those 30 days. After losing 4.5 or so kilos (10+ lbs) I started feeling better. By the time I got to the end of the cleanse, I was full of energy, feeling light and I was thinking clearer than ever. 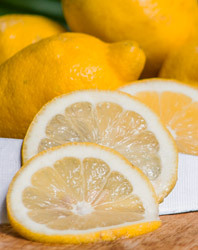 But I should have followed the procedures described in the Master Cleanse booklet. Transitioning off the cleanse I took one day to drink orange juice and then went right back to the diet that got me into trouble in the first place, not such clear thinking. It only took a couple months for me to put the weight back on. I retained plenty of health gains for years, even though the weight came back. Over the years, I've read dozens of books on nutrition. Most of them were about raw food diets or at least ones by authors that pushed the idea that the body can fix itself if it is allowed nutritional food and exercise. Then in 2009, Thanksgiving and Christmas holiday time, my bad habits caught up with me again. 91 plus kilos (200+ lbs) again, I had difficulty bending over, no energy, the same story with a bit of a twist. Now I could no longer take a walk longer than the length of a couple houses. I had trouble breathing and couldn't sleep more than a few minutes at a time. I had some medical tests and chest x-rays done. Nothing was out of normal range. Some things were at the high end of the normal range but the no-diagnosis came with a shrug of the shoulders. I was seeing a nutritionist regularly but not following the program whole-heartedly. I had problems with some of my teeth that were on the meridians connected to my lungs, some teeth with root canals and metal fillings. In January, I got those tooth problems handled and that left me with few options but soft food until my mouth healed. I could have eaten protein shakes, chocolate pudding or mashed potatoes and any number of soft versions of the foods that I had been eating. Instead, I took the opportunity to change my diet and only ate raw fruits and vegetables. My energy came back, I could walk as far as time permitted and the pounds started coming off. I got excited and wanted to keep it going. I've stayed with 80 to 90% raw food with some eggs, chicken and fish, some beans and some brown rice. And yes, I do eat junk once in a while. My goal is to be the size I was in high school. 70.5 kilos (155 lbs) and a waist small enough to fit 30 inch Levi's. I'm at 32 inches and 72.7 kilos (160 lbs) and have been at that size for awhile. I know that if I cut out the beans and rice for a couple weeks that I'll lose the last 2.2 kilos (5 lbs). Some of the things that I've learned along the way. Bad idea: "I lost the kilos once so I can go off the diet and then recover again." I reject that idea now because it's the path to the old life style. 1. I have to spend energy to get more energy. I have never gotten more energy from staying in bed or sitting on the couch. 2. If I eat acid foods (bread, meat, pizza, etc) I will want more of it and reject alkaline foods. So acid begets acid and alkaline foods begets alkaline foods. If I find myself eating too many acid food meals, I will purposely eat a salad or find some fruit. Once I eat it, another salad sounds good to me. 3. Put foods in one of two categories, friends or foes. The foes are the foods that got me into the condition that I am working to correct and the friends are the foods that are full of nutrition and make me actually feed good. Even though I like pizza a lot, love it in fact, I know it is not my friend; so I will not buy pizza and will not eat it. 4. I've eaten enough salads that now I look forward to eating them and a pizza doesn't sound good to me. My memories of great pizzas are far more enjoyable than eating the pizzas now, so I enjoy the memories and leave it at that. We urge you continue to educate yourself about nutrition and diet, so that you have enough information to evaluate for yourself and use good judgment on your own journey to excellent health. Also Order our delicious all raw food high-enzyme treats which are hearty and help satisfy as you transition to a diet higher in raw vegetables and fruits. Healthy Food, Healthy Environment... Healthier You! "Our bodies adjust to changes in our environment, including harmful changes such as pollution, radiation, noise, lack of sunlight, etc. Similarly, the body adjusts to the consumption of harmful substances. It develops a new pattern that is actually the best way of coping with the situation. This pattern can quickly become a habit. That doesn't mean that your super-intelligent body is craving harmful substances, but rather that it has adjusted to the toxins. I find it amazing, even amusing, that the human body continues to survive in spite of the many damaging factors of modern life." "Every one of us is living with thousands of adjustments that our body has succumbed to in order for us to survive. We pay for each one of them with reduced quality of health and shortened life span. The way to better health lies in the unburdening of our organism from having to adjust. However small, every effort towards natural living makes a positive difference. For example fresh fruits and vegetables, sleeping with an open window at night, wearing clothes made from natural fibers, drinking pure water, exercising, getting sunlight regularly, not suppressing sneezing, yawning, or stretching, and reducing stress can help it all. So can turning off electrical devices when not using them to rest from harmful electrical fields, reducing you use of soap and chemicals, buying organic produce, and thousands more small acts, including "applying" a hammer to your microwave oven." Mix together the spinach avocado, celery and onion and fill tomato shells. Place on dinner plate on bed of endive and garnish with thin strips of sweet peppers and place ripe olive in center of each stuffed tomato. This may be served with celery hearts, olives and strips of Swiss cheese. The stronger the cheese, the greater is its acid-forming effect on the body, and the more mucus-forming it is. Cottage cheese (preferably the homemade kind) is probably the least mucus-forming, while the seasoned Swiss cheese, the kind made in huge round pieces about 3 feet across, and 8 or 10 inches thick, with large holes all through it, is the next best. 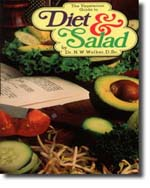 See full Table of Contents and Order The Vegetarian Guide to Diet & Salad by Dr N. W. Walker who lived to a healthy 100 years old following his diet and health plan. When you are eating more salads, fresh fruits and vegetables, you may experience cravings for heavier food. Instead of turning to breads, chips or pizza, try our delicious all raw food high-enzyme treats which are hearty and help satisfy as you transition to a healthier diet. Visit our Raw Nutrition Snacks & Goodies on our website. You can also find organic raw food staples!